The goal of TrailRoc Kennels is to promote the Siberian Husky as a working, confirmation and companion dog. 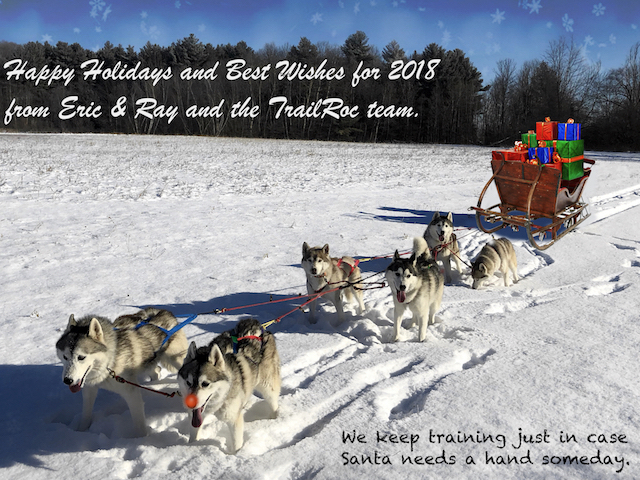 You can see videos of the TrailRoc team on Youtube, and photos at Flickr. We occasionally blog too. Membre sénior du Regroupement des Eleveurs de Chiens Champions du Québec.